"If you’re looking for new authors to read then I would highly recommend Ms Holly." - Tyhada's Place reviews, 2010. "Who knew the wilds of the Canadian North would be such a romantic setting? Anne Holly apparently!" "Bringing a quirky love story to life in her latest novel, Anne Holly's STRINGS ATTACHED will capture readers' "hopeful" romantic soul... STRINGS ATTACHED snags the readers' attention from the start. Well written with beautifully descriptive scenes and witty dialogue, Ms. Holly spins a tale of hope, redemption and love.... Ms Holly's skillful unveiling of the deeper emotional motivations of her main characters had this reader in tears - the good kind that promises hope and happy endings... A classic contemporary romance, STRINGS ATTACHED delivers a solid story. Josie and Theo's romance is well worth the read... Theirs is the kind of romance that makes you want to know what happens after "The End"!" Five Stars; A TRR Top Pick! "I had the warm and fuzzies after I read this one. And I devoured it from the second I started. Anne Holly created characters I loved from first introduction, and I'm very happy to have had the opportunity to dive into this read." 5 Stars - You must read this! One of the site's Top 100 Romances of 2011. "This was one book that was hard for me to put down, even though I knew I had to go to sleep... kept me wanting to read more and more... If you enjoy a sweet, sensual romance with all the trouble of a relationship especially when one is willing to give everything for a fairy tale ending... Enjoy reading this book and make sure you have a couple of Kleenex in hand you just might need them. 4 Tea Cups!" "If I only had two words to describe this novel--simple elegance…there is just the right amount of detail, mingled with story-telling and character development to keep you glued to the page. Once you begin reading the tale of Josie and Theo, you won’t want to stop until you finish the book. Strings Attached hooked me from the beginning and my eagerness to devour their love story never abated. I highly recommend this book if you are looking for a tale of true love and hope of overcoming past pain." 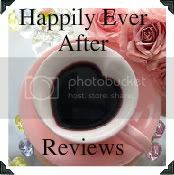 You can find a selection of Anne Holly's reviews and interviews at her site.